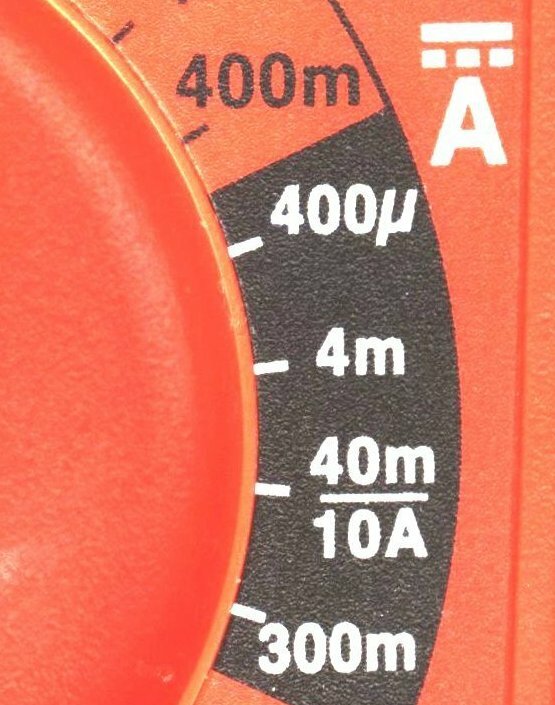 If you don't need the overview, you can progress to instructions on how to measure using the digital multimeter. One of the most important things to understand is safety ratings. 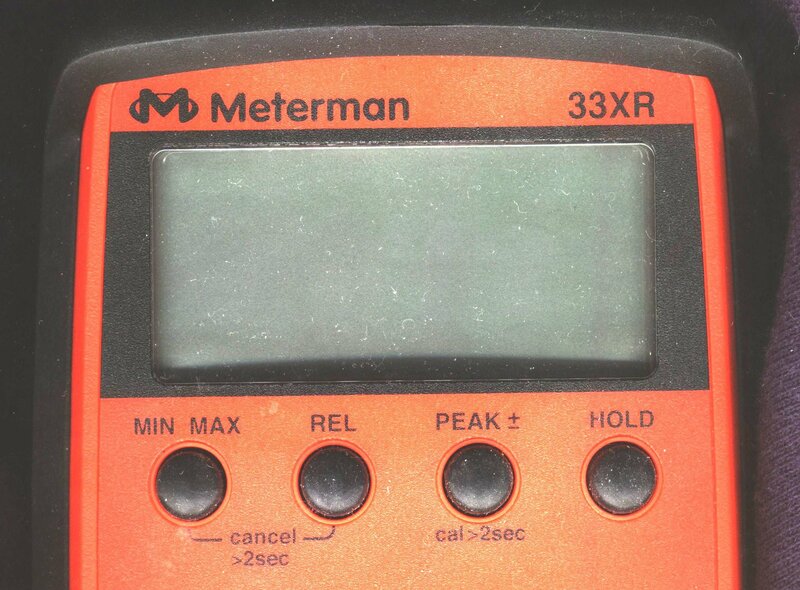 The front of the meter is divided into 3 sections; display, control, and connections. 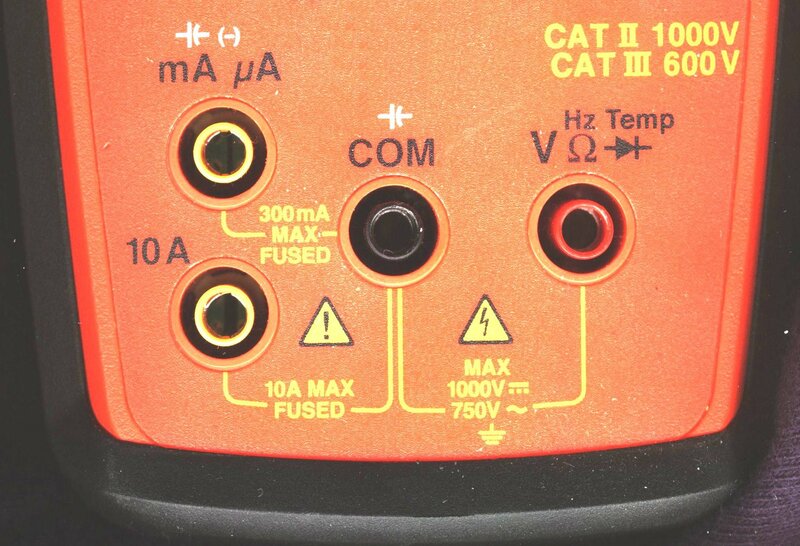 Here is the manufacturer's data sheet for the meter, which has very detailed information. Note that in addition to showing the current value of the quantity being measured, there are options to show the maximum and minimum values within a certain time. 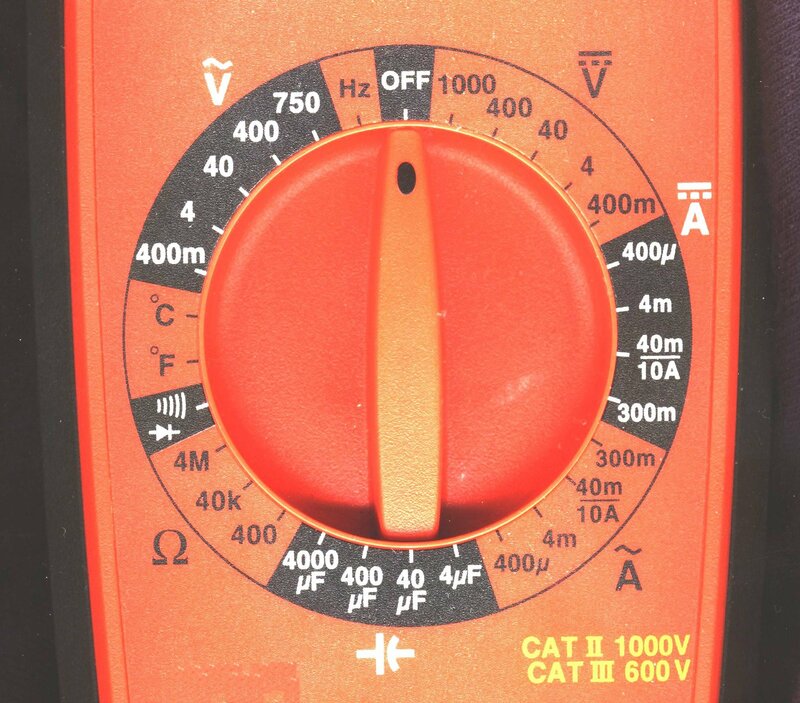 This particular meter can measure AC voltage , DC voltage , DC current , resistance , capacitance , frequency , temperature (with a probe attachment), and it can also check for diode operation and continuity . 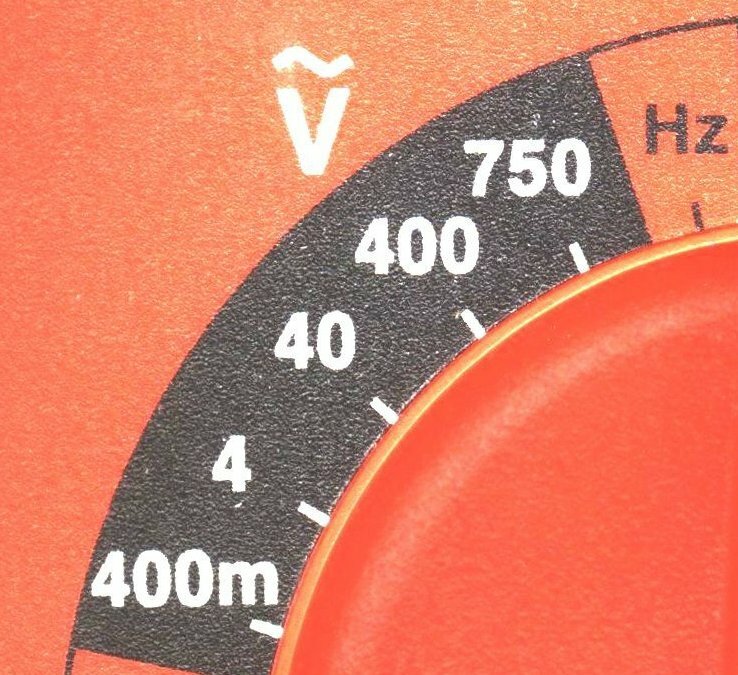 The most important thing to note here is that different contacts are used for current than for voltage or resistance. 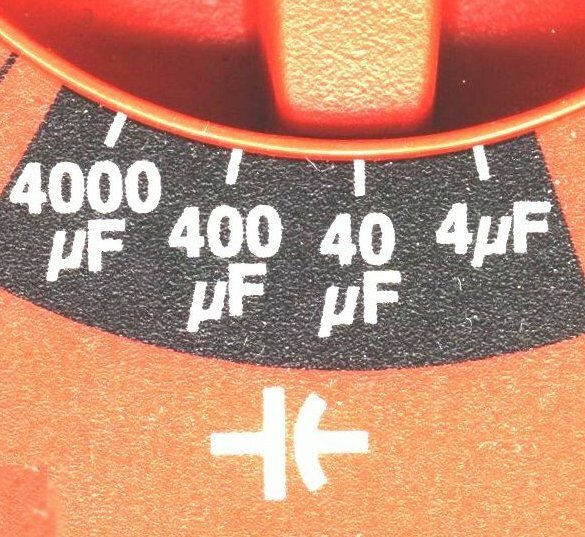 Note that the COM label stands for common, and this contact is used for all measurements. Remember that current is measured in series, NOT in parallel. 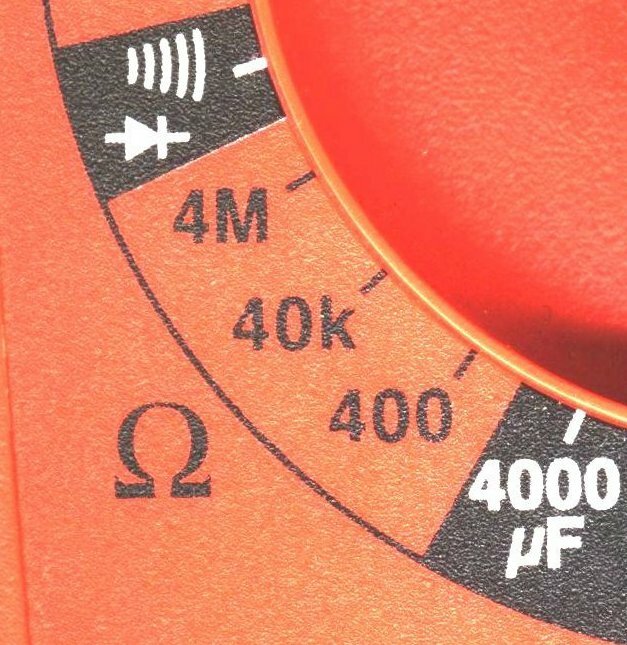 You can destroy the meter if you don't do it correctly! 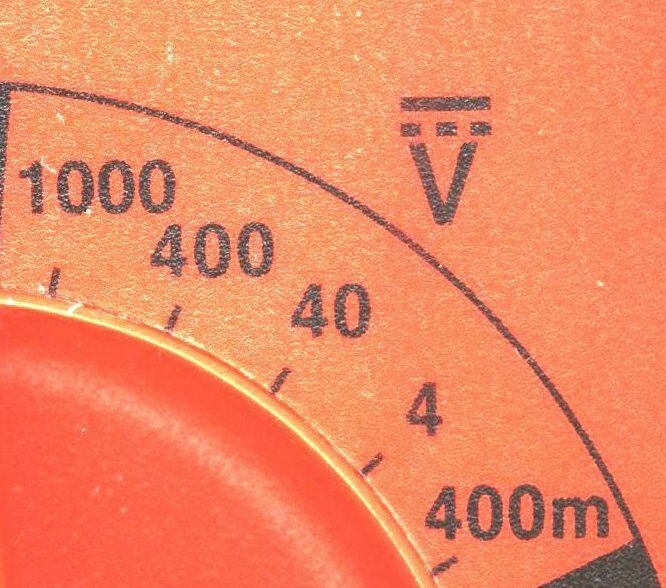 Be sure you know what you're doing before you try to measure current! Preparing for current measurement Be sure to read this first!